The distinction between cassava flour and tapioca starch is confusing for many people. A look around the Internet will show you several websites making the incorrect claim that they are the same product. While they both come from the same plant and have many properties in common, they are different products with different applications. 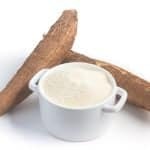 If you would like to know how cassava flour and tapioca compare to each other along with their respective benefits and drawbacks, the SPICEography Showdown below can help. 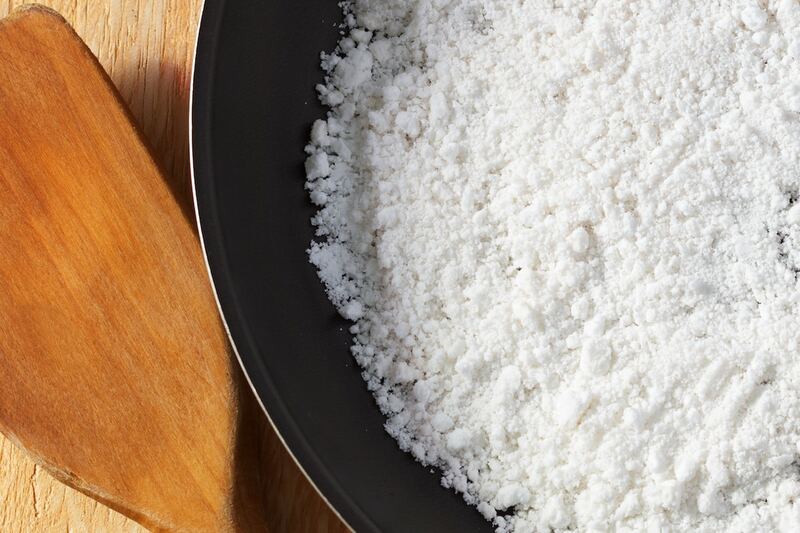 How does cassava flour differ from tapioca starch? Although manufacturers derive both from a single plant, the process for getting cassava flour differs from that for getting tapioca flour. Cassava flour has a different makeup because of this. Cassava flour is much simpler and made from the whole, white part of the cassava root. The root is dried and finely ground to produce a finely textured gluten-free flour that you can use in many of the same products that might otherwise require wheat flour. Tapioca starch is more highly processed as it consists only of the starch from the cassava root isolated from the rest of the root. The root is grated and washed to produce starchy water. That water is evaporated and the white residue that left behind is tapioca starch. Because cassava flour contains the whole root, it has more fiber when compared to tapioca starch. Besides being beneficial for your health, fiber can also improve the texture of some baked goods by acting as a substitute for gluten. 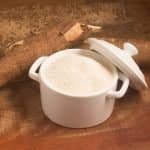 Cassava flour has a reputation for being the most similar to wheat flour of all the gluten-free flours. While the flavor of cassava flour is mild, it has a flavor. Cassava flour gives baked goods a subtle nutty flavor. Tapioca starch is like other starches such as corn starch in that it has no flavor. Can you use cassava flour in place of tapioca starch and vice versa? You can use cassava flour in many of the applications that require tapioca starch. Because of its fiber content, it is well-suited for replacing tapioca starch in gluten-free baked goods. It will provide structure to breads and pastries on its own whereas you would have to combine tapioca starch with at least one other flour to get the benefits of flours that contain gluten. You can also use cassava flour to replace tapioca starch as a thickener and for dredging foods for frying. Tapioca starch is not quite as versatile as cassava flour since it lacks fiber. It won’t work as a cassava flour substitute by itself in baked goods. When should you use cassava flour and when should you use tapioca starch? Reserve cassava flour for any baked good where you need structure or where you want to increase the fiber content. Use it to make pao de queijo (Brazilian cheese bread) or gluten-free tortillas. Use tapioca starch when you need a gluten-free flour for binding or as a thickener. It is a good flour for any types of bread that you do not need to rise to any significant degree. Use it alongside other flours to make different flatbreads, for example. You may also pair tapioca starch with other flours in a bread or cake. It will not help with rising but it can act as a filler, which can be important in gluten-free recipes. 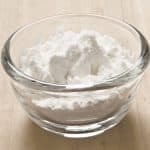 What's A Good Cassava Flour Substitute?